Outbound call centers are probably one of the best methods in order to generate sales. This is because a majority of the target customer group is aware of the product or service offering but is hesitant due to a certain trivial reason that can easily be eliminated by a good call center operator dispelling their apprehensions. However, setting up such systems in-house in a daunting task because the cost of property, infrastructure, hiring and retaining employees, training them and other costs are simply too large for a non-core process. The time factor is also one that should be considered. It takes an enormous amount of time and manpower to effectively handle multiple outbound calls a day in order to generate the required footfall and subsequently sales volume. Therefore, the smartest idea that you can implement is to outsource your requirements for outbound call center services to a professional organization in a place like India where industry experts are available at a throwaway price and will be able to handle the large volumes of outbound calls that they will be required to make without compromising on quality or reliability of the call center service as a whole. 1) You can focus on the core competencies of your business without having to worry about the non-core aspects of your business process as a professional call center services organization like ours will ensure that all your requirements are fulfilled completely to your satisfaction without any compromise on speed or quality. 2) The time zone difference will allow your organization to call customers worldwide at times that they will probably be awake. This is because your organization if placed in a location like Europe or North America will have a significant time zone gap with India or similar locations where the majority of outbound call center outsourcing is performed. Thus, regardless of where your potential customers reside, we will be able to call them at a time that they may find convenient to talk during. 3) A faster process: You can be sure that the number of outbound calls that are happening from a professional call center is much, much higher than what you can achieve using an in-house team. This is because these organizations have the infrastructure and expert manpower in place in order to have smooth, rapid and efficient operation of call center services. 4) Scalability: Regardless of the volume of customers you wish to reach at a certain point of time with outbound calls, you can rest assured that these professional organizations offering outbound call center services such as ours can scale up their operations according to your requirement without compromising on the response time or the quality of the services provided. 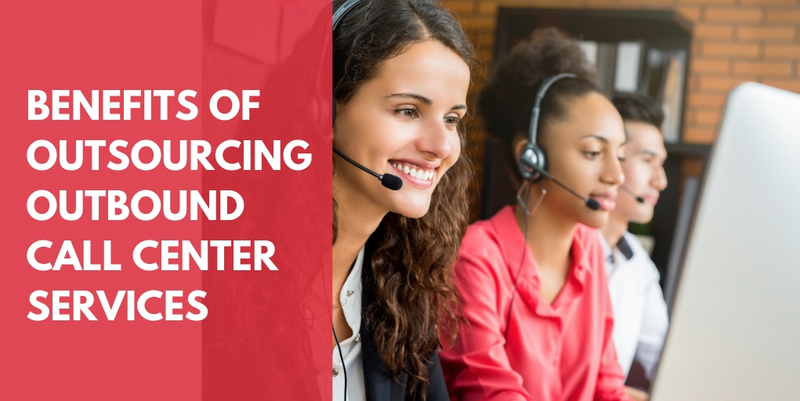 5) Outbound call center outsourcing allows you to gain access to the experts who are present in these organizations and use their skillsets as sales people in order to convert potential customers to your side. In-house teams that you may have to assemble otherwise will need specific training in order to even reach the same amount of proficiency that these experts have and thus outsourcing your requirements for outbound call center services is the best option for your organization. 6) Outsourcing your requirements for outbound call center services to globally reputed and industry acclaimed organizations such as ours will ensure that the quality of services provided and the sales pitch will be better than anything that you may have been able to get via an in-house team since most of the industry experts are employed in such organizations. 7) You will be able to save a significant amount of money by outsourcing your requirements for outbound call center services when compared to having a dedicated in-house team. This is because these professional call center services are generally located in a place like India where the cost of doing business as a whole is much cheaper than what may be available in your country. Moreover, the infrastructure is already in place for having efficient call center services and has been for a few decades in some of these organizations. The cost of labour as well as other costs such as rental costs, administrative costs and other hidden costs are also generally much lower in these destinations where call center services are outsourced. Therefore, you will be able to avail the best of services without burning a hole in your pocket. So, what are you waiting for? Outsource your requirements for outbound call center services to a globally acclaimed and industry recognized organization such as ours so that you can rest easy while focusing on the core aspects of your business only. This way you can increase your top line and be assured that the bottom line will also fall in place due to our optimized processes.